Some of the Most common search engine like being, Google, Bing. There, of course, are other search engines out there, like LinkedIn has a Search Engine, Youtube has a Search Engine Like Facebook has a Search Engine. But most people commonly look at Google and Bing as the main search engines. So Search Engine Optimization is just that side. So, organically showing up inside of the search engines. When I Say organically that means not paying for an ad but just getting your website or some content on your website ranked so that you can get clicks to your website and then hopefully have them complete a goal. 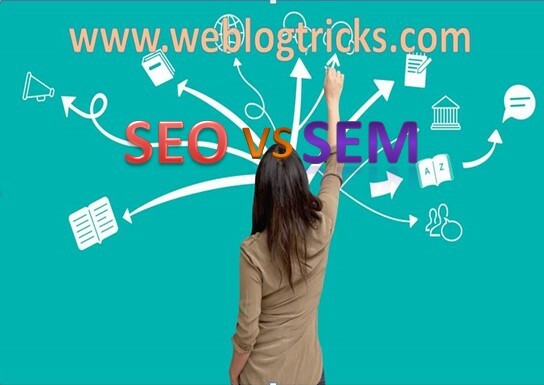 Now, Search Engine Marketing is a little bit different in that Search Engine Marketing is a term of SEM (Search Engine Marketing). that basically embodies search engine optimization as well as Pay-Per-Click advertising. So pay-per-click advertising is another form of search engine marketing that basically makes it so that you can serve ads, inside of these search engines. So, each of these search engines has the ability to deliver advertisements to people and that's really really a big business, right? we have quite a few clients in that business. some spend a few thousand a months, some spend hundreds of thousands of dollars a month and it's an excellent way to drive to your website. what people love about it is you can see exactly how much every click costs, you can see how many clicks you can get for X amount of money. and how many leads you get worth to you based on how many of those leads you close and you can develop a whole business out of it. Also if it's on the e-commerce side you can essentially do the same thing. when you drive people to a category page or a product page and you can develop a great online business model. So, Search Engine Marketing just basically has a search engine optimization and it has pay-per-click marketing as part of that bucket term. So, Search Engine Marketing company or an agency will do both of those things. and search engine optimization company who only does search engine optimization does not do the paid part. So, that's what those terms mean and I hope that this cleared a bit of that up for you.